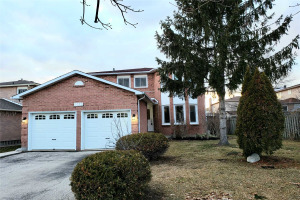 Stunning 4+2 Bdrm & 4 Wshrm Detached Corner Lot A Prime Location Of Mississauga Featuring D/D Ent. 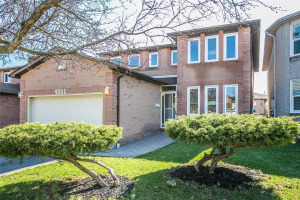 Large Foyer, Spacious Liv Rm W/French Door, Cozy Family Room W/ Stone Wall Feature Fireplace & Hrdwd Flrs. California Shutters Throughout & Potlights On Main & Lvl, Modern Kitchen W/ Backsplash & Granite Counters & Pantry, Upgraded Porcelain Tiles & Freshly Renovated Washrooms! .Other Good Sized Rooms With Tons Of Natural Light. Patterned Concrete Driveway. All Elf's & Window Coverings.Cook Top,S/S Hood,B/I Microwave & Oven,Fridge & Dishwasher.Fin Bsmnt Apt W/ Sep Ent-Rec Room & 2 Bdrm W/ 4Pc Bath Plus Separate Laundry! 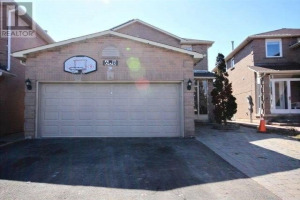 Steps To Grocery,Parks,Transit, Hwy 401 & Heartland Shopping Center!